Shack Week continues in full swing with a new burger from Andrew Zimmern. Perhaps best known as the host of the Travel Channel’s Bizarre Foods, Zimmern set out to create a burger that incorporated everything he loves about the quintessential American comfort food. The result was the AZ Cabrito Butter Burger. 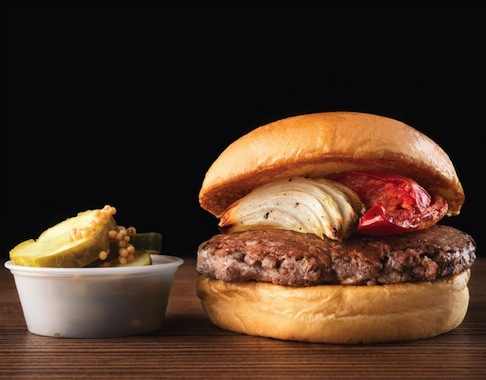 The AZ Cabrito features a goat burger with herb butter topped with a slice of roasted tomato, charred onion and sweet pickle. Zimmern will be at Shake Shake today from 11 a.m. to 2 p.m. for a meet and greet. Swing by to say hi and try out the burger. Remember that both Monday and Tuesday’s burgers went fast, so be sure to get there early.